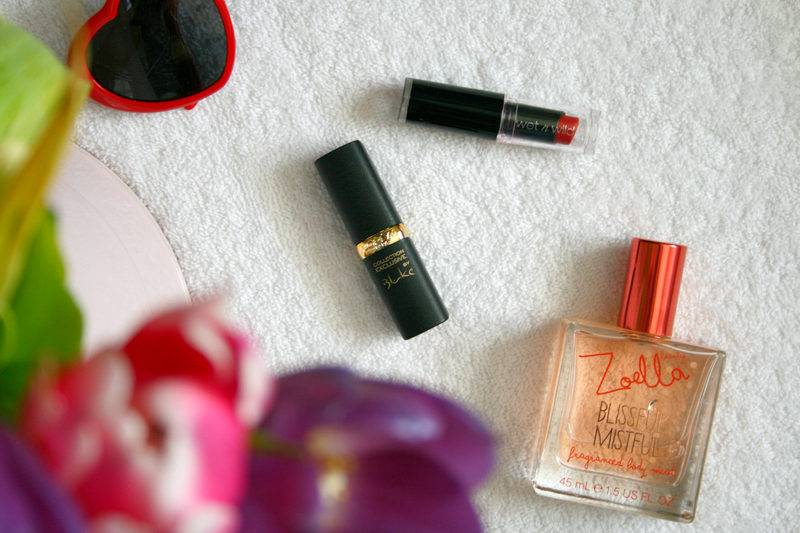 The Wet n Wild lipstick lasts a good few hours on the lips but of course you may need to top it up after eating food. It does stain the lips slightly which I like and it's really buttery so it glides onto your lips. I do use it with a lip liner because it is a red shade and I just feel that if you make a mistake with a red lipstick it's hard to get rid of the evidence. 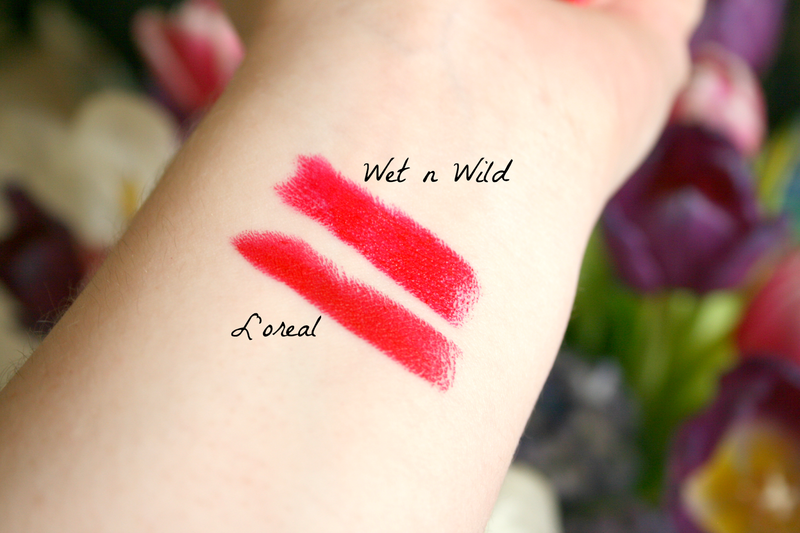 The Wet n Wild lipstick is also really affordable and although it may not be easy to get our hands on it here in Ireland, over in the states it will only set you back a couple of dollars. The L'oreal lipstick also has really good staying power and I just have to add I adore the packaging, it just makes the product look so much more expensive. Again I do wear it with a liner just to be on the safe side. The only thing I will say that's different is I prefer the shape of this lipstick. As it has the point on the product making it easier to perfectly outline your lips. Other than that both products are the exact same in quality and colour wise. This one will set you back €10.49 which I guess isn't ridiculous but if you're on a budget every penny helps! Honestly I'm still so surprised by this and cannot believe all this time I've been wearing a colour as everyday wear not realising the exact same shade in more expensive packaging I ended up deeming as 'good wear'. Have you found any dupes lately? I really like this shade of red and the dupe is quite good and really similar to the l'oreal one! This is great, love wet and wild!!!! 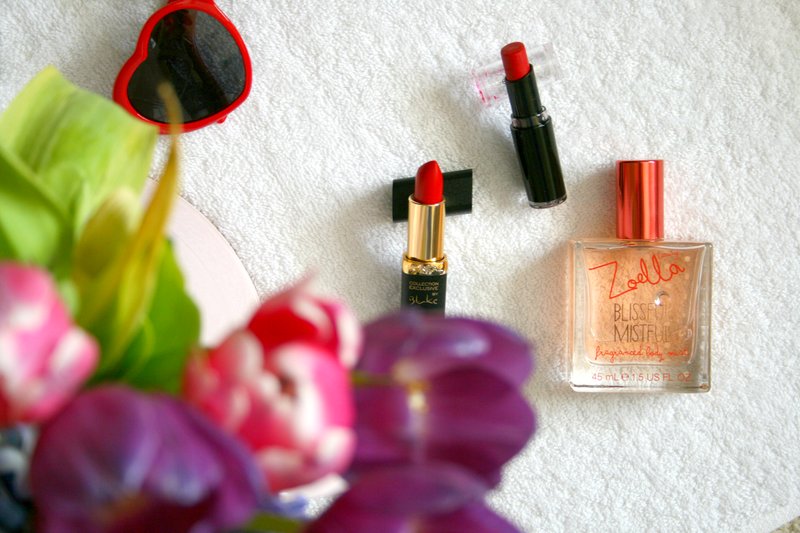 My sister in law bought me this exact shade from Wet`N` Wild and it soon became one of my favourite red lipsticks. I do however want to try some shades from L`Oreal, they look very pretty. in any case its the perfect red shade plus l'oreal packaging is so nice! !